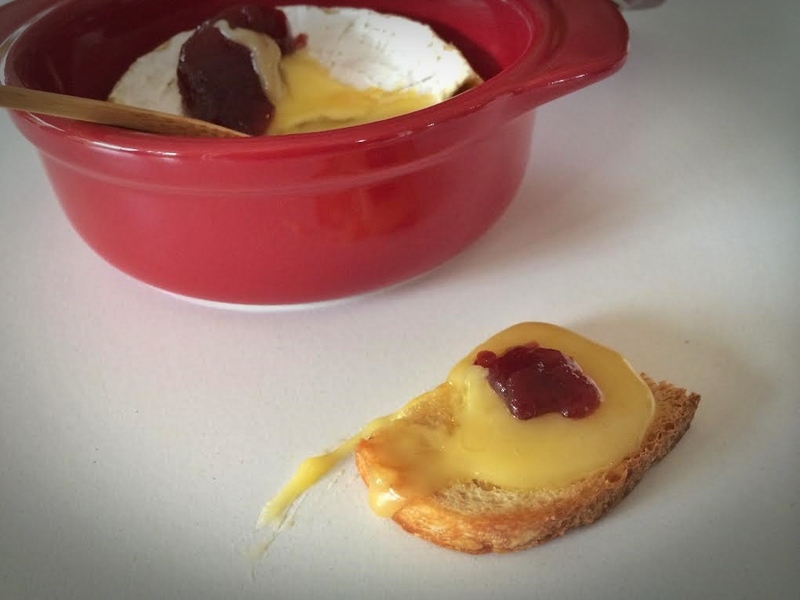 I still remember one of the first times I had deep fried camembert with Cranbelly jelly, I was stealing it off mums plate in a restaurant in NZ when I was about 10 – and I have loved it ever since. 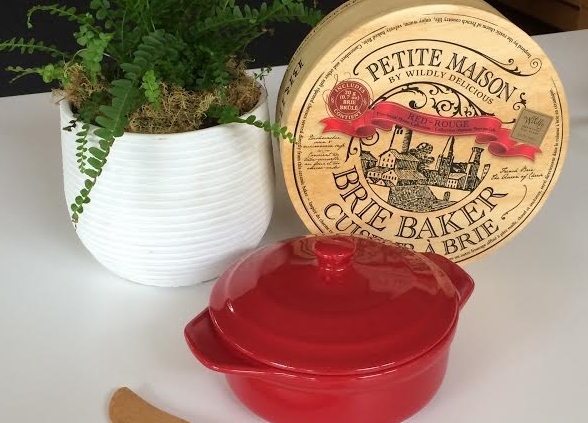 I make it at home now, but the ‘double crumb’ I do on each cheese wedge is labour intensive – so when I saw this Brie Baker on a recent trip to New York, I was sold. You put your whole (unwrapped) Brie (or in my case Camembert) inside the pot – into 180c oven for 15 mins. Then its a case of trying to get the oozing yumminess onto your crustini/bread/cracker with some cranberry. I call it my “cheats deep-fried camembert”. I only put half a cheese in this time to give you a good indication of the ooze. Obviously the longer you cook it, the more it softens. 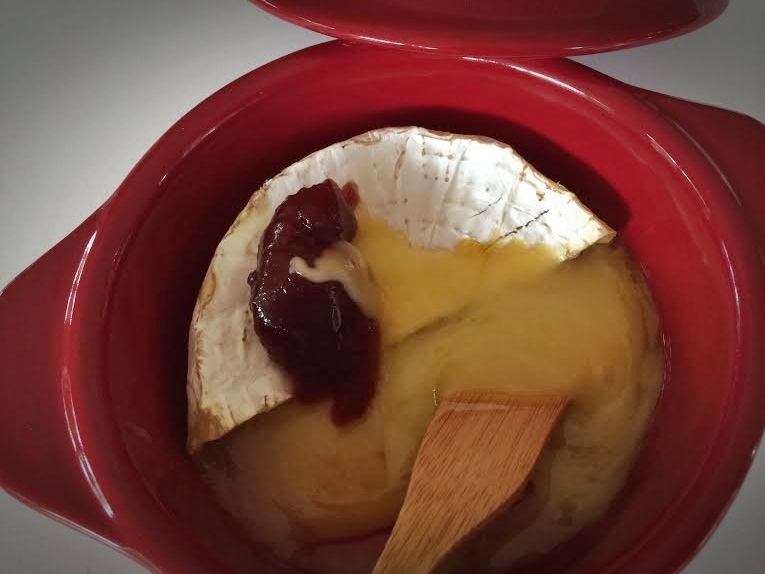 When I returned from New York, I was very excited to make it for my friend, who had never heard of hot Camembert. I took it out of the oven after 15 mins and I thought it wasn’t oozy enough, so decided to put it back in for 5 more mins. Wouldn’t you know… I dropped the whole thing on the floor… it shattered, the cheese was everywhere (and perfectly cooked, doh)! So this had me googling Brie Bakers everywhere. Then small casserole pots. There were none anywhere that I could use, they were either too small or to big for what I needed. I finally got hold of the company that made mine in NY, and a distributor had recently started supplying to Australia.. so I got intouch and ordered a couple more online. A great Christmas present for Cheese Lovers at A$25 +postage (available Australia and NZ).